Monica Gale Top STAMPIN'UP! UK Demonstrator: Time Spent with Stampin up Friends..
Time Spent with Stampin up Friends..
Whoa... I didn't think would ever get to talk to you again LOL. As you know from my last post I have spent this last Sunday with 50 FABULOUS friends, that's what my team and my fellow demos have become over my relatively short journey with SU GOOD FRIENDS !! And just like always we had a Blast !! apart from the fact that time is going too fast when we get together. We shared so much on the day and I have left feeling totally inspired and energised these are fabulous women I tell you. We had three fabulously talented ladies sharing wonderful projects with us and we also got to make a few more projects. 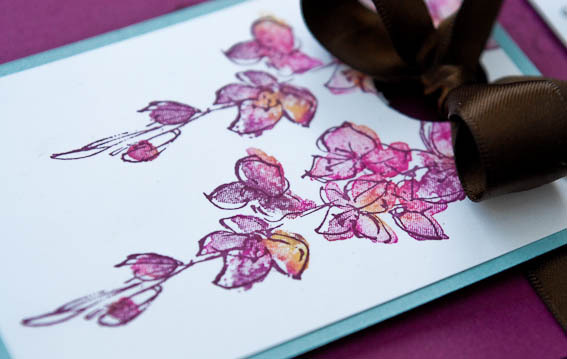 This was our technique card and it featured the baby wipe technique, is a fab one and suitable for solid images like this Level 2 Hostess set Fast and Fabulous. The colours used are Rich Razzleberry, Baja Breeze and Early Espresso. Baja Breeze, Poppy Parade and So Saffron. I LOVE these colours together and this wont be the last time I am using them for sure. 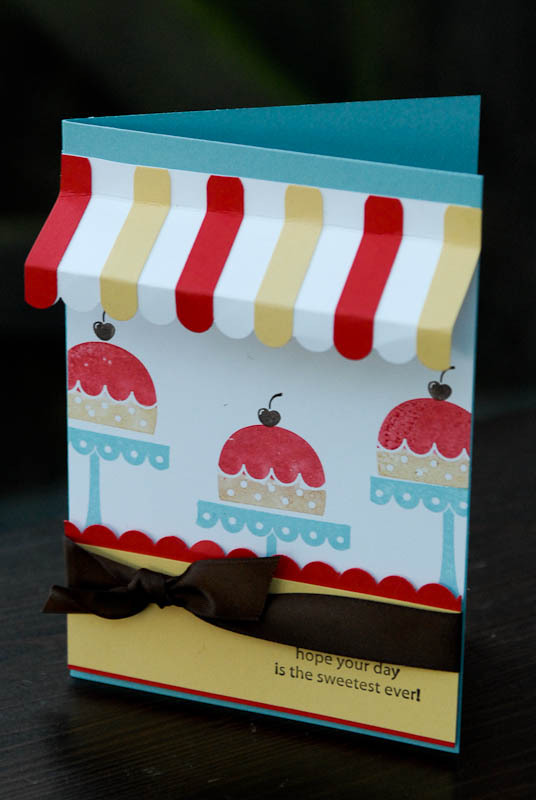 The card is a cute canopy and it was inspired by the many examples of similar cards on Splitcoast Stampers. 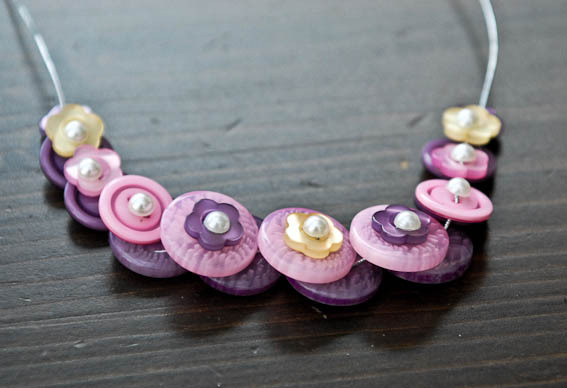 Bekka found a similar necklace on the wide web and she set to work and turned it into this wonderful masterpiece. Since then I made bracelets, necklaces and even rings from our sweet buttons, I love them, so very cute, and I only wish I had pictures of the ones the ladies created during the day there were some fabulous colour combinations !!! we had two more projects in the afternoon sections but I can only show you one. 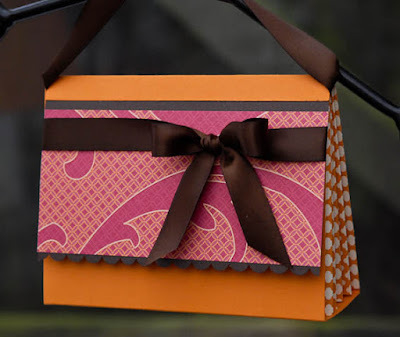 A little accordion purse perfect for a gift. You will be excused for thinking that this purse is not finished and you would be correct, you see we have so much to accomplish during those events and the objective is to get all the projects finished before we all go home. These ladies are all talented and creative demonstrators an I left the prettying up to their devices. Bekka designed an exquisite scrapbook page and I will share some photos of it soon, it was truly scrumptious. 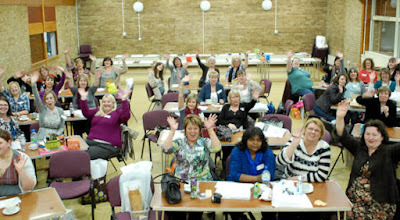 Here's a picture of the happy ladies and gentleman, I truly love our regular get togethers and if you are thinking of becoming a demonstrator and would like to join us at our next event on the 10 April then please JOIN MY TEAM and the Passionettes, you can get in touch with me at telemech01@aol.com , I would love to explain to you the benefits of becoming a SU demonstrator . Wow such beautiful projects! Will you do a tutorial on the necklace? I'd love to know how to make them!! Wow Wow Wow, loved watching the video clip, such good fun. Can't wait for the next one. Huge thank you. 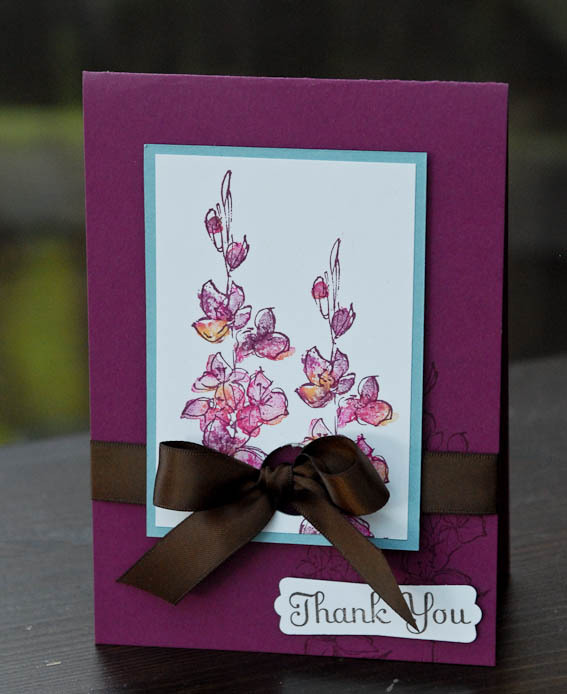 You are not only very talented in stamping but also technology. What a fab idea to do this video Mon!